Dealing with the death of a loved one is never easy. Few people have experience in handling these types of traumatic events, and dealing with important matters in the aftermath can prove both confusing and challenging. At Cavallo & Cavallo, our New York estate planning attorneys provide the compassionate care and professional legal guidance you need during this difficult time. The following outlines some of the immediate details that will need to be attended to. Make funeral arrangements. Consider what the deceased would have wanted, the types of accomodations you will need, and what you can afford. In some cases, the person may have left instructions with a funeral home in advance. Check for life insurance policies which can help offset burial costs, along with any veterans benefits they may be entitled to. Secure their property: Make sure the person’s home, car, and other property are locked and secure. Notify the post office and have their mail forwarded. This is important as they are likely to receive statements which provide important information for settling their estate. Get certified copies of the death certificate. The funeral director may make you several copies of the death certificate, but you will also need certified copies, which come with a raised state seal. These can be obtained through the New York City Department of Health (DPH). Notify the local Social Security office. If the person was receiving Social Security or disability, you will want to protect yourself against potential overpayments. If you are the surviving spouse or child of the deceased, you may be entitled to survivors benefits. Make an inventory of assets and debts. Find out about any pension plans or retirement benefits your loved one may have had through their employer, and make a list of all financial accounts they possess. Make an additional list of your loved one’s credit cards, mortgages, medical expenses, or other debts, and keep track of the costs you incur as you handle various tasks. 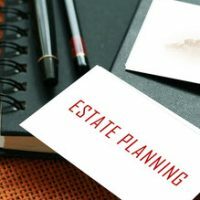 In the midst of taking care of the above, you will also need to consider probate hearings and any wills, trusts, or other estate planning documents your loved one may have had in place. For trusted legal guidance in these and other matters, contact Cavallo & Cavallo and request a consultation with our New York estate planning attorneys today.